For the 11th consecutive year, WilmerHale has surpassed the donations of all participating law firms in the Legal Aid Society’s Generous Associates Campaign, a fundraising campaign run by associates at Washington DC law firms. This year, WilmerHale led area firms in most dollars raised, with a contribution of more than $84,000. As a result of this community effort, the Legal Aid Society completed its most successful fundraiser in the campaign’s 24-year history—raising more than $975,000. According to the Legal Aid Society, $47,500 is the starting salary of a full-time junior staff attorney at the organization. This means that WilmerHale’s total contribution to the campaign this year is nearly enough to fund the salaries of two full-time junior attorneys, whose work benefits hundreds of low-income individuals living in DC. WilmerHale has played a significant role in the Legal Aid Society’s fundraising efforts, contributing more than $250,000 in the past three years, and more than $500,000 since 2007. 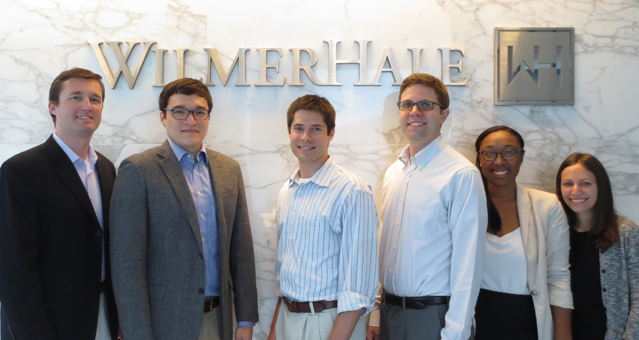 One hundred percent of WilmerHale’s DC summer associates donated to the campaign and 50 percent of DC associates and senior associates participated. Their contributions were supplemented by partners, counsel and staff over an eight-week effort designed and driven by Senior Associates Mike Smith and Randy Weinsten and Associates Jeremy Moorehouse, Lynn Eisenberg, Lauren Moore and Richard Shordt. The firm’s Management Committee mentored the effort.